Dr. John Lillis has been named the vice president of academic affairs at Grace College, Winona Lake, Ind. He will begin his new position during the spring semester. Lillis earned his B.S. at the University of Kentucky, a M.S. at Air Force Institute of Technology, a M.Div. at Grand Rapids Baptist Seminary, and a Ph.D. from Michigan State University. He most recently worked as dean and executive officer at Bethel Seminary, San Diego, Calif., where he served since 2001. Under his leadership, enrollment at Bethel Seminary—San Diego increased dramatically, the number of masters degrees offered nearly doubled, and the school added a doctoral degree program. Before arriving at Bethel, Lillis served Cornerstone University in multiple positions on the undergraduate and graduate levels. 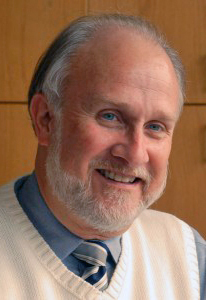 In addition to teaching, and his academic administrative work, Lillis has served as a pastor in the United States and abroad. He served as a major in the Michigan Air National Guard and as a captain in the United States Air Force as a nuclear research officer. He is an educational consultant for the United African American Ministerial Action Council (UAAMAC), a blue ribbon committee member for the American Red Cross in San Diego, and a leader in numerous Christian societies.